Exporting from Revit Structure to create a new ETABS / SAP2000 model. Exporting from Revit Structure to update an existing ETABS model. 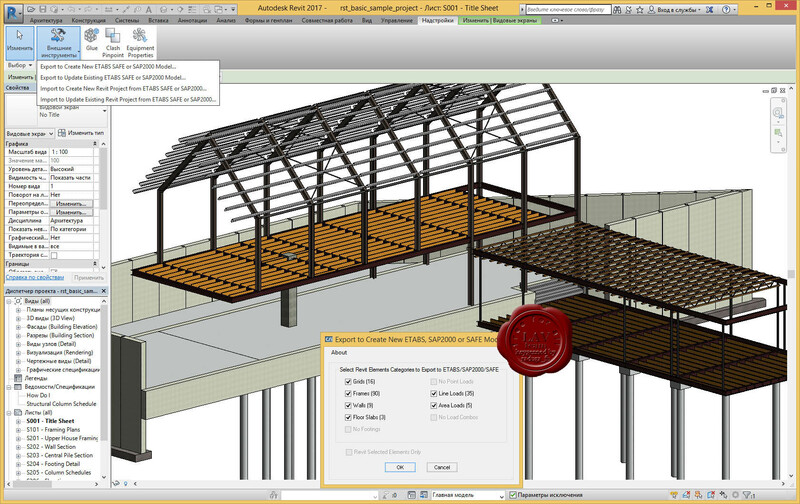 Importing from ETABS /SAP2000 to create a new Revit Structure model. Importing from ETABS to update an existing Revit Structure model.